Please join me Thursday, June 16th for an intimate evening with other artists and creative types. 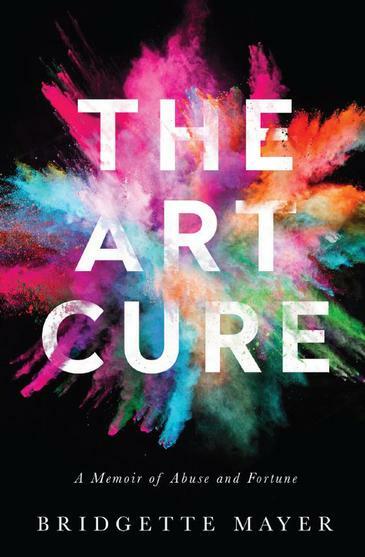 I will be pre-launching my book: The Art Cure: A Memoir of Abuse & Fortune and giving a book talk and workshop about taking your career to the next level in 2016-2017. •	My story of how I got my start in the art world and built my gallery with zero clients and zero money into the multi-million dollar business that it is today. •	MINDSET and things that I did every single day to generate clients, money, press and publicity. •	The mindset that I have continued to encounter with artists that hurts them professionally and holds them back and the mindset that I suggest instead to have the success they desire. •	A short goal-setting exercise to help the audience set up their top goals for 2016-2017. •	I will be giving every attendee two copies of my book – one for the attendee and the second copy will be a donation (in your name) to the school district of Philadelphia (I am going to identify a particular school that needs books and art related content the most). Please email me at bmayer@bmayerart.com if you have additional questions or call the gallery at 215-413-8893 to register. *A receipt will be provided which is tax deductible as professional development. Bridgette Mayer is an art dealer in Philadelphia, PA. She opened Bridgette Mayer Gallery on Philadelphia's historic Washington Square in 2001. She represents artists from Philadelphia, New York, Los Angeles and around the world, specializing in contemporary painting, sculpture and photography. The gallery also deals in secondary market artwork sales and private and corporate consulting. Her gallery presents ten regularly rotating exhibitions a year as well as publications on major exhibitions. Gallery artists have won many prestigious awards including the Pew Fellowship in the Arts, Guggenheim Foundation Grants, Pollock-Krasner Foundation Awards, the Miami University Young Painters Competition and the Pennsylvania Council for the Arts Grant. Bridgette Mayer Gallery has been featured on CNN's Anderson Cooper 360 as a small business "On the Rise" and was recognized as a recommended Philadelphia arts destination in The New York Times Magazine. In 2013, Mayer was awarded with the Philadelphia Business Journal’s 40 Under 40 Award. In 2013, 2014, and 2015 Mayer was named one of the top 500 Galleries in the world by Blouin ArtInfo, and was also interviewed and featured in the Tory Burch Foundation’s “Women to Watch” series. Mayer has been a featured speaker on many panels in the Philadelphia area and has guest lectured at a number of universities, where her talks focused on how emerging artists can promote their work and sustain a career in the arts. A graduate of Bucknell University, Mayer was an active member of the University's Arts Board for several years.